A doctor in Turkey for whom a patient filed a complaint for wrong-side surgery accused the patient of being a member of a terrorist organisation, Cumhuriyet newspaper reported on Saturday. Duran Kıvanç, a convicted person staying in a prison in the northwestern province of Bolu had complaints about severe pain in his left groin. The prisoner was transferred to an hospital, where the doctor decided to perform a surgery to remove the patient’s inguinal hernia. However, after the operation, the patient found out that the doctor performed the operation on his left groin, instead of right. 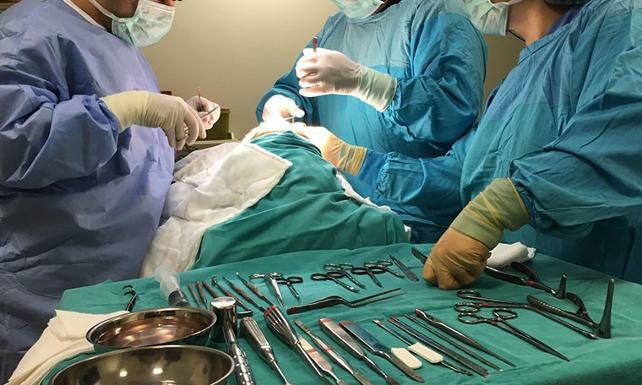 General surgery specialist Dr. Eren Dağ, who performed the operation in Bolu İzzet Baysal Hospital claimed that the patient also had inguinal hernia on his right side. “As much as I know, the patient was convicted of terrorism charges. He is a member of DHKP/C [a radical left organisation]. He is complaining because of his interests,” Dağ said when defending himself. According to Dağ, the patient made obvious what his intention was by asking the doctor to cover the pecuniary and non-pecuniary damages he had caused. In his complaint, the patient said that Dr. Eren Dağ had examined his left groin twice and he also had told the medical team that he had had pain on his left side before the surgery took start. The patient also claimed that, when he had blamed the doctor for wrong-side surgery, the doctor had told him that it would not a problem because he had had inguinal hernia on his right side too and had added that another operation could be scheduled a week later for the hernia on the left side. Bolu F Tipi Cezaevi’nde hükümlü Duran Kıvanç, sol kasığındaki fıtık için götürüldüğü hastanede sağ kasığından ameliyat edildi. Doktor kendisini, “Çıkar amaçlı böyle bir şey yapıyor” diye savundu. Turkish health minister vows to raid pharmaceuticals "stockpilers"